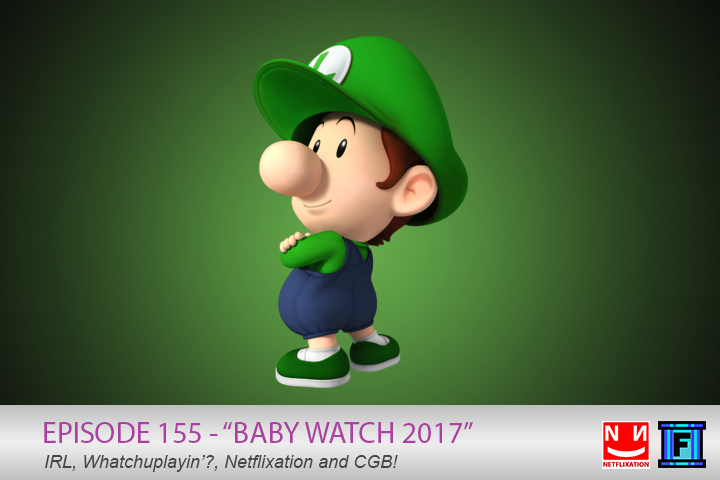 In Baby Watch 2017, we talk quite a bit more IRL than usual, including #BABYWATCH2017. Lil baby Wuigi is due any time now! Exciting! Then we talk Whatchuplayin, featuring some chat about the Netflix series The Killing and Love. Last we get into our Netflixation, Begin Again. Community Grab Bag rounds out the show, and then we pack it up and go home!